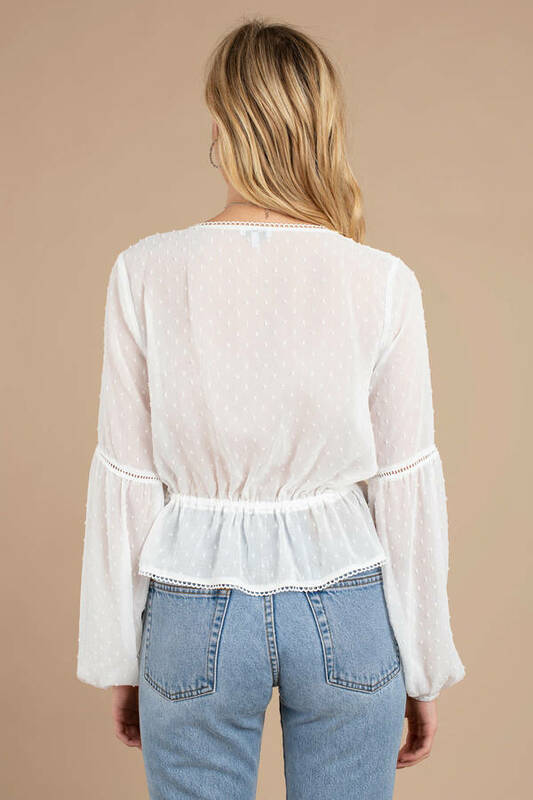 Check out Tobi's Simone Front Tie Blouse Be a free spirit in the Simone White Front Tie Blouse, featuring a textured and sheer polyester weave with an eyelet trim, front tie, and fitted waist! You're going to love this plunging dotted blouse at your next festival! Be a free spirit in the Simone White Front Tie Blouse, featuring a textured and sheer polyester weave with an eyelet trim, front tie, and fitted waist! You're going to love this plunging dotted blouse at your next festival! 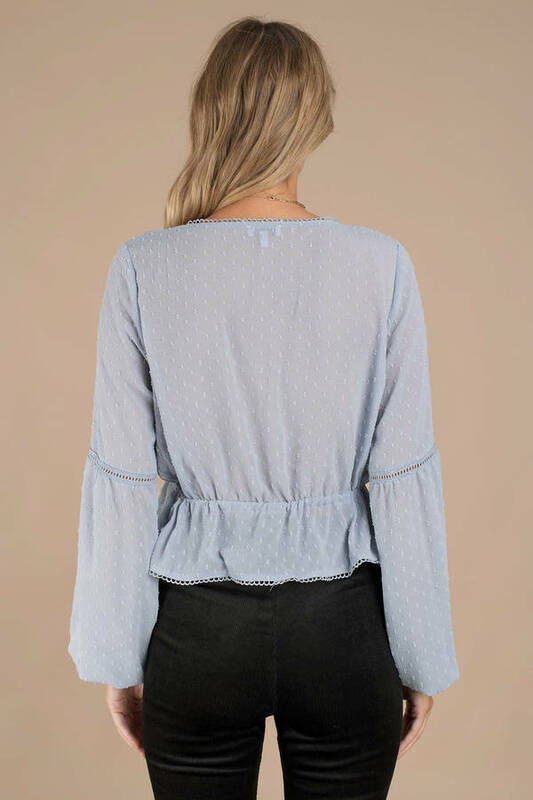 Be a free spirit in the Simone Blue Front Tie Blouse, featuring a textured and sheer polyester weave with an eyelet trim, front tie, and fitted waist! You're going to love this plunging dotted blouse at your next festival!